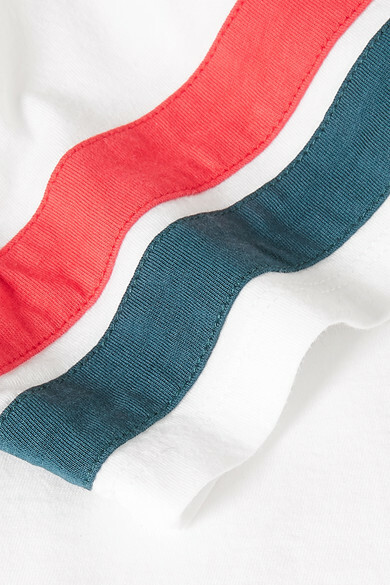 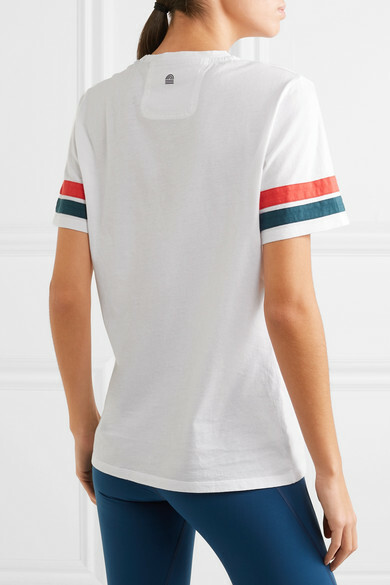 LNDR's white T-shirt is cut for a relaxed fit from breathable organic cotton-jersey detailed with thick red and teal stripes at each sleeve. 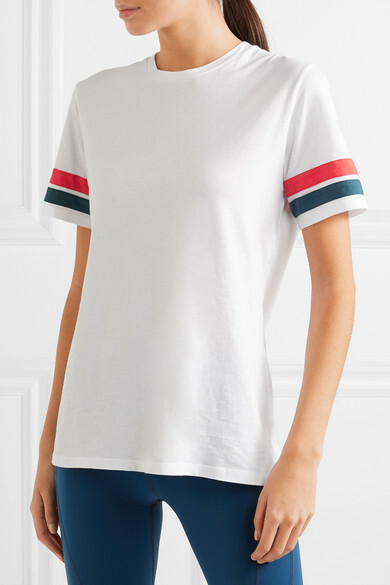 It's a great choice for low-intensity classes if you don't feel particularly comfortable wearing just a sports bra. 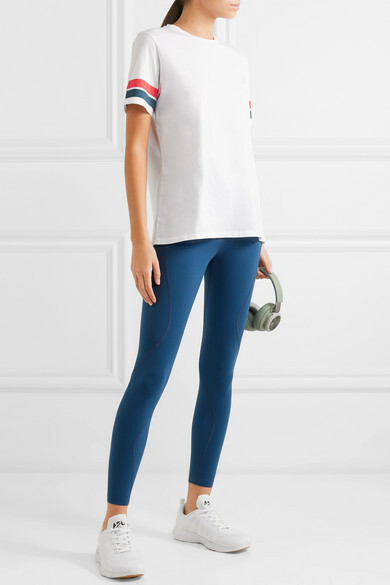 Shown here with: LNDR Leggings, APL Athletic Propulsion Labs Sneakers, Bang & Olufsen Headphones.